Often I hear claims made by people from the right side of the aisle regarding the intentions of people on the left. I’m sure I hear as many categorizations the other way around, but I am particularly sensitive to misunderstandings in the former direction, being of sound left thinking mind and body. The assertion is often made that entitlements, which are, of course, taken from our taxes, “enable” poverty and that perpetuating circumstance is the goal of liberals. To counteract this cycle, the right proposes that we (tax payers) take a position to inspire the poor to better themselves, because, they believe, taking responsibility for their plight and hard work are the lessons to be learned. They contend that taxes will be lessened as a result. I hear this position all the time, and it’s misguided. We don’t lessen the incidence of people falling into poverty or increase the likelihood of people rising above poverty by simply holding those afflicted more accountable. Perhaps, it is best to understand poverty by putting it into a category which, unfortunately it fits; as a man-made disease. In this context, society is the organism and our condition is our economic status. “Normal” economic status can be defined as a comfortable ability to provide for ourselves while the inability to provide would be the abnormal or diseased condition. But we stop a disease from spreading by changing the conditions brought about from the causes, not from chastising the afflicted. To say that the poor simply need a pep talk and that their failure to find economic stability is overcome by “working harder” is not only ludicrous and insulting, it is naïve and destructive. Poverty can lead to various degrees of illnesses, physical and mental, that then create even more dysfunctions, none of which go away simply because we say, “We won’t tolerate the illnesses that result from poverty!” The conditions of poverty can manifest into depression and various forms of illness and perpetuate themselves. No one chooses poverty; like an airborne virus, poverty chooses them. There is only one direction to take toward reducing poverty and it isn’t realized from platitudes about personal accountability and hard work. Ultimately, it is the creation of jobs, but there is a bridge to cross as we argue toward how to achieve that end. That bridge is a communal effort from the whole of society to commit to better and more accessible education; to provide access to mental and physical health rehabilitation; to provide bridges of sustenance while those who are out of work can look for new opportunities. It is about creating good community and government programs that are well funded to provide these services. Yes, there will be those who scam the system, or who find a way to become “enabled” by our commitment, but they are very few when you look at the actual numbers and find less than 2% of those on Welfare abusing the system (http://spritzophrenia.wordpress.com/2011/01/04/how-bad-is-welfare-fraud-in-the-usa/). Most go back into the tax base and prove that the programs essentially work. The point is that the money we invest in welfare programs and various entitlements move us in the correct direction and are not teaching, as the letter professes, a lack of accountability and motivation. And, consider that the money we spend is also economic stimulus as SNAP, for example, goes right back into liquidity. I’ve heard my liberal friends rally to the cause of welfare programs and say it’s our duty as a fair and prosperous society to take care of those who are less fortunate, and while I agree I don’t find that inspirational. I say that it’s our “privilege” to care for one another and it is from that inspiration that I find a wealth of motivation. 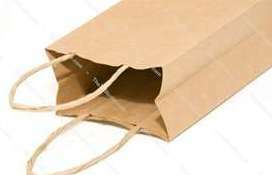 You must be <a href="http://garyhasissues.com/wp-login.php?redirect_to=http%3A%2F%2Fgaryhasissues.com%2F2015%2F03%2Fan-empty-bag-to-stand-upright-2%2F">logged in</a> to post a comment.